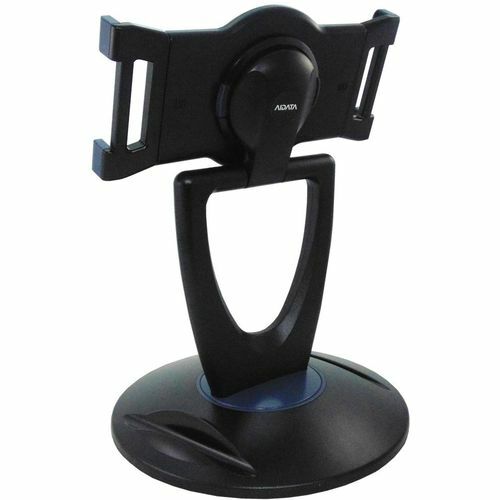 Provides a desktop stand with an adjustable display angle and 360 degree rotation. 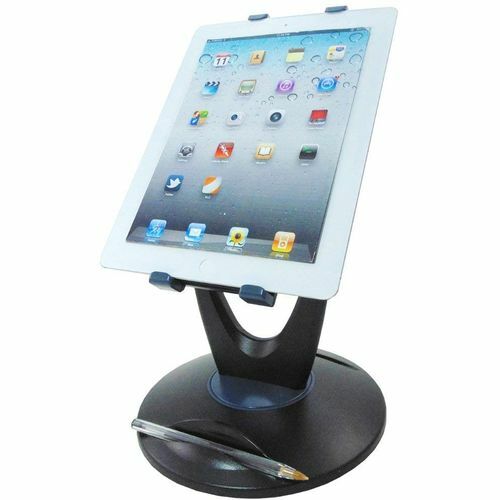 Stable and swivel weighted base, that incorporates a handy front slot to hold most mobile phones while using your device and a rear slot to hold a stylus or pen. 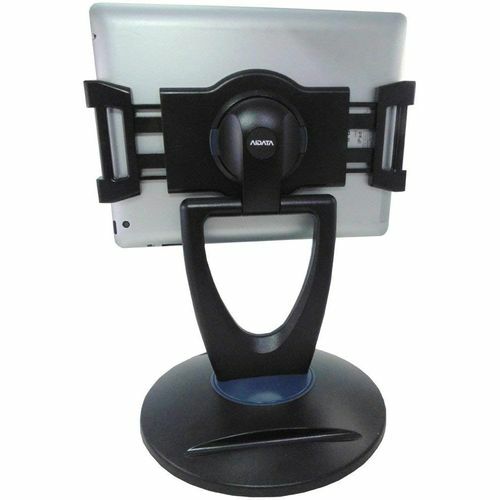 The Tablet Stations adjustable range is approximately 196 to 244 mm. If you have a widescreen format tablet such as the Samsung Galaxy Tab S, Samsung Galaxy Tab or Prowise PT301, it may not fit. 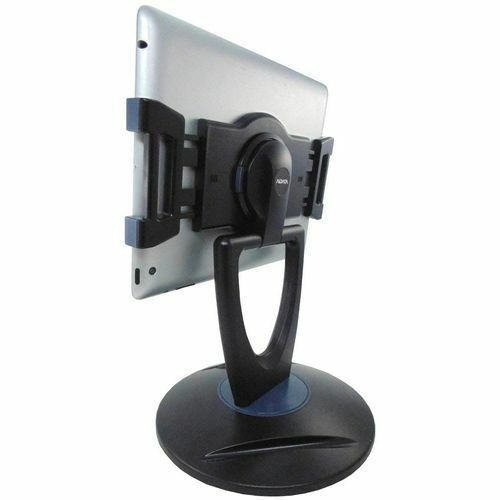 The iPad shown is for illustration purposes only and is not included.